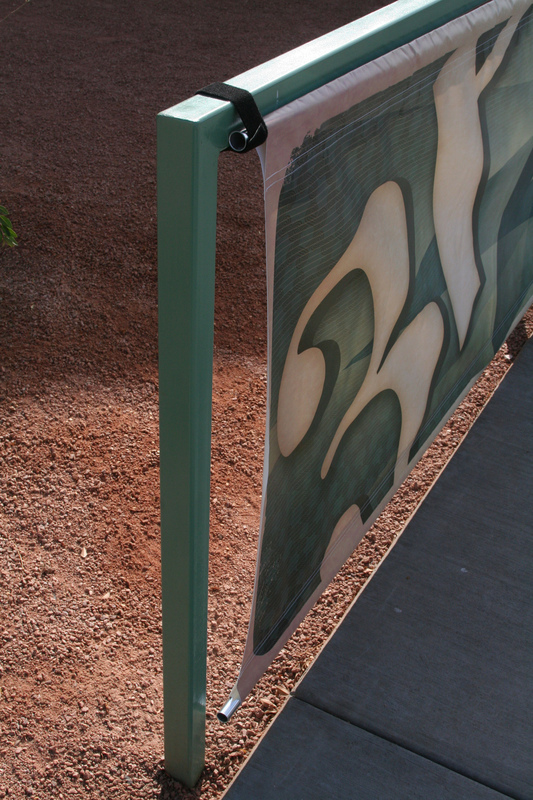 Great for windy conditions. 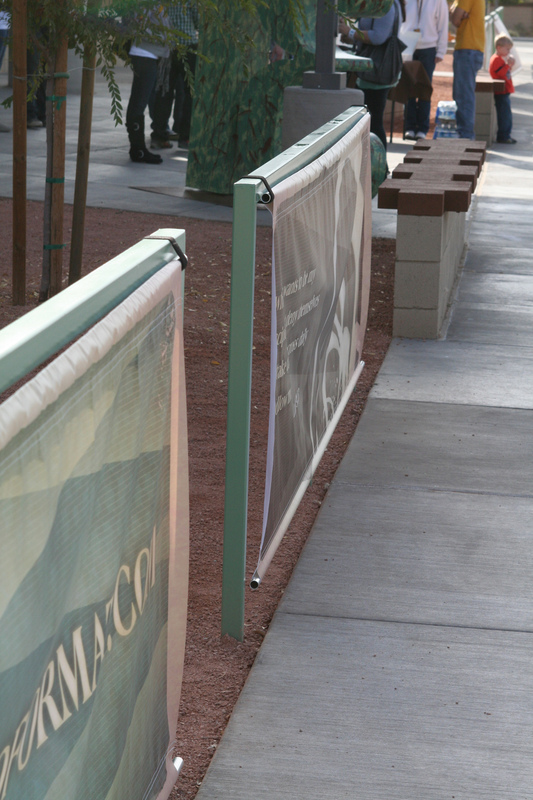 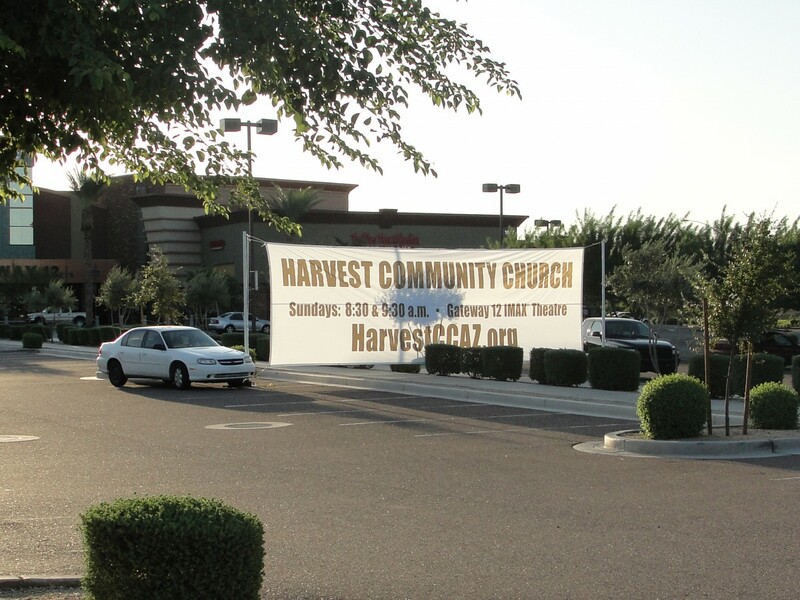 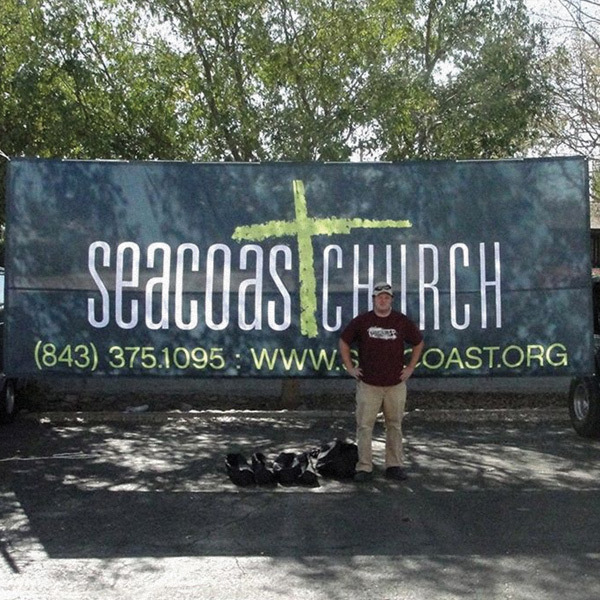 Mesh banners work much better than a traditional vinyl banner with wind-slits. 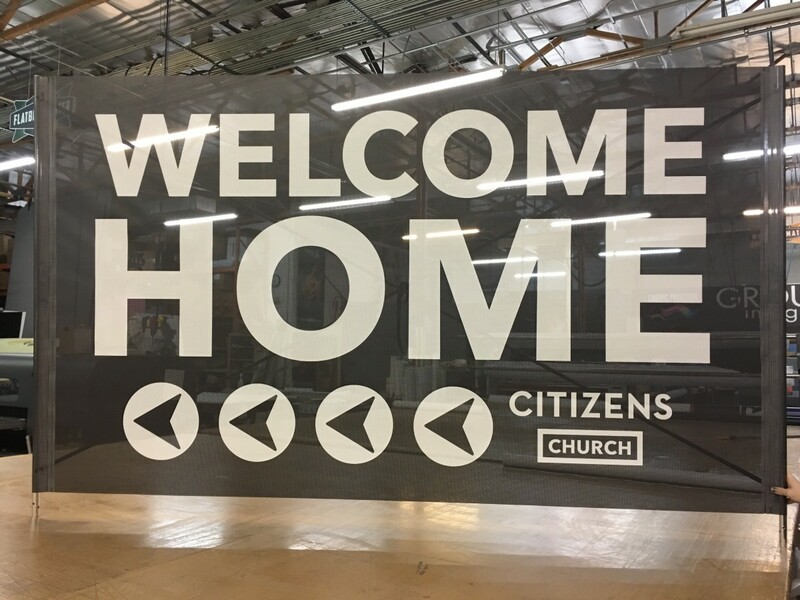 These full color indoor and outdoor banners are available in 9 oz mesh vinyl.